WILLEMSTAD - It is beyond doubt that our young people are getting extraordinary results abroad. We know achievements in sports, art, culture, etc. Today, science is in the spotlight in the person of Guido Rojer, Jr. (1987) scientific assistant of the Faculty of Social and Economic Sciences, University of Curaçao. 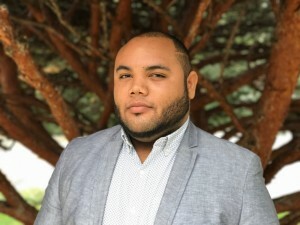 The young academic was appointed as one of the two program presidents of the 42th annual conference of the Association of Caribbean Studies that started this week in Nassau, Bahamas. Guido is up to now the only program chairman who speaks all 6 languages and has also been the youngest who has been appointed to that position so far. Partly under his supervision, more than 350 scientists will present their presentation in Nassau at the Meliá Cable Beach Hotel this week.